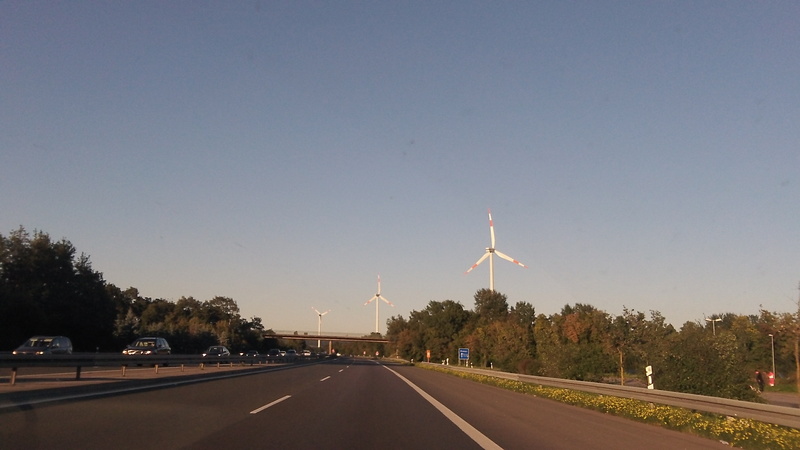 Wind turbines are spinning near the autobahn outside of Tecklenburg, Germany, on Sept. 29. Ted Salmons: I agree that several places in Europe have embraced wind power, having it forced upon them like what seems to be the mode here in our country. Yes, there are times that the wind turbines are not providing power to the grid, usually during low demand times. The same thing happens in this country. We even had a lawsuit last year by the wind farm industry demanding payment for power they never delivered to the grid since it was not needed. I believe they won their case, which made me wonder what kind of idiot signed a contract with a clause in it like that. Also, many people fail to understand (and I’m no expert) that electricity however generated must be used immediately. There is no way to store it for use later. There are no “magic batteries” out there in the mountains and deserts where they keep the excess for use later. That’s why wind turbines must always be backed up with coal/natural gas/hydro-electric/nuclear power plants that can be brought online quickly to make up for demand when, not if the wind diminishes. That’s a big reason why wind farms here in the Northwest don’t even come close to “penciling out” and would never be built if it were not for huge government subsidies. Here in Lebanon we pay 7.8 cents a kwh for electricity. The national average is 12 cents. The average price in Germany is 35 cents and in Denmark 41. So with prices like those in Europe, wind turbines actually stand a chance of turning a profit, or at least come close to breaking even. But until they legislate coal plants and many hydro generating systems out of existence (and I think that’s their plan to raise the price of power) those spinning bird killers will be fighting an economic uphill battle. But with the OPM (other people’s money) they’re getting they’ll keep putting them where they’re not actually needed for the foreseeable future.